So here we go again . . 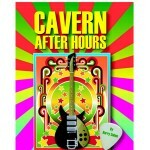 ., it’s completely unexpected that you are looking at a description for my third Merseybeat book. Once my first book, “The Sound With The Pound” was published, I began to receive communications from many of the musicians mentioned in the book that, for one reason or another, I had previously been unable to contact. Some of them had lost touch with their fellow group members and some no longer lived in Liverpool or even in the UK. These new contacts were able to provide me with additional information such that I felt a revised version of “The Sound With The Pound” was necessary. 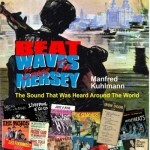 Ultimately, this resulted in the publication of a completely updated edition titled, “Beat Waves ‘Cross the Mersey”, which contains significant additions to my original publication. The information I received through these new, direct contacts with the musicians, finally led me to make the decision to write this follow-up book. Leaving all those interesting stories and line-ups behind, or ignoring them because they were not included in “Beat Waves ‘Cross the Mersey” would, in my opinion, have been a historical sin. And then all these wonderful photos, these alone were worth a book . . . .
All the groups featured were part of that incredible movement and all had their place in it and should not be forgotten! “Some Other Guys” was the best title I could think of for this book, as it hits the ‘nail on the head’ in various respects. From the point of view of my first book, the musicians and groups named are ‘Some Other Guys’ who between them all helped create what was to become the 1960′s Merseysound.